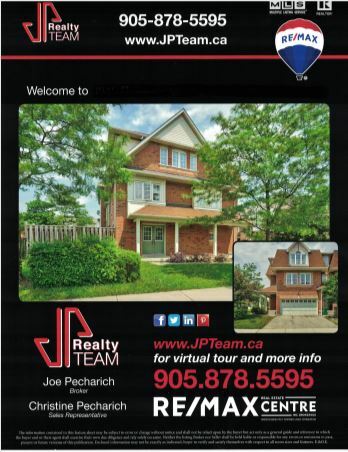 WHY SELL YOUR HOME WITH THE JP REALTY TEAM? A unique sales and marketing strategy is designed for every property. We think through the mind of the buyer for your specific property. This custom marketing theme dictates everything from our content, photography and virtual tours, 3D matterport images, direction, staging & styling, online strategy, targeted marketing and events. While we use only the best tools and resources, arguably the differentiation lies in our ability to individualize our listings. Want to skip the rest and just contact us click below and we can get started. 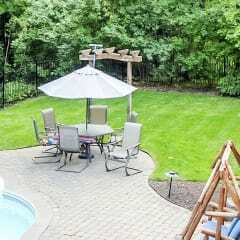 We will provide a complimentary home evaluation at no cost or obligation. We will show you how our team and marketing strategies will sell your home quickly for the most amount of money in the least amount of time, stress free! We are 100% dedicated to selling YOUR HOME for top dollar! For your house, we will create a customized marketing plan with advanced strategies that will help you sell your house for top dollar in the least amount of time. We can all agree that maximum exposure plus out of the box marketing will sell your house faster. 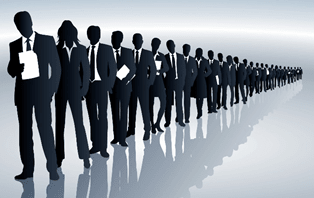 We are currently generating 500-550+ potential buyer inquiries per ad in just 2-3 days! Other agents, with their best efforts, may take months to capture this many inquiries! 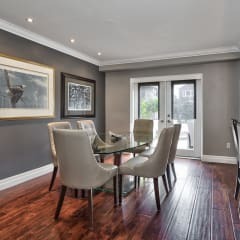 Complimentary Staging is provided, It's been proved time and time again that our listings sell faster and for more money when they are staged with a professional. 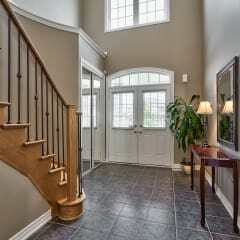 Our stager will communicate the best ideas in order to assist with a quick sale. 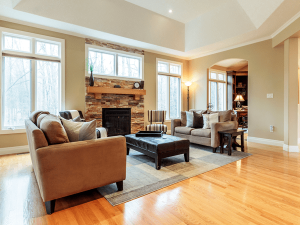 Some homes or rooms may need a lot of staging and some will simply benefit from rearranging some furniture. Our listings are showcased on individual property pages within our website which allows us to capture potential interested buyers and easily share your homes details across multiple online platforms. 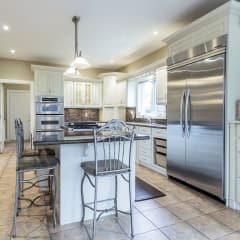 We present your listing online by highlighting all marketing efforts, using large-scale professional photos of the property and adding highlights such as floor plans, virtual tours, property features and 3D matterport views of your home. It is a proven fact that consumers distrust ugly websites. Your property deserves to be showcased in all its glory! Our website earns the attention of today's modern, mobile buyers. The biggest reason we're able to tell your Property Story is because we can control the presentation of it on our website. Here at the JP Realty Team, we pride ourselves on positioning ourselves at the cutting edge of online technology. We have invested heavily in our website so that your listing will enjoy tremendous visibility across the globe. Illustration below capsulizes just the beginning of our digital marketing plan for the JP Realty Team. Don't be fooled that any agent can put your home on their Facebook and get the results we are getting. We are currently generating 500-550+ potential buyer inquiries per ad in just 2-4 days! Other agents, with their best efforts, may take months to capture this many inquiries! Facebook has become a marketing powerhouse. 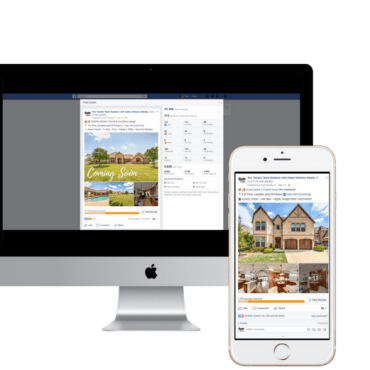 We will create a custom Facebook marketing campaign for your property that reaches thousands of potential buyers, plus choose only the best demographics for your area. Bottom line? 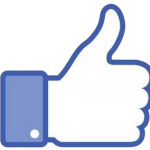 We know how to turn likes into Buyers! All of our print marketing pieces are custom designed, for every property. 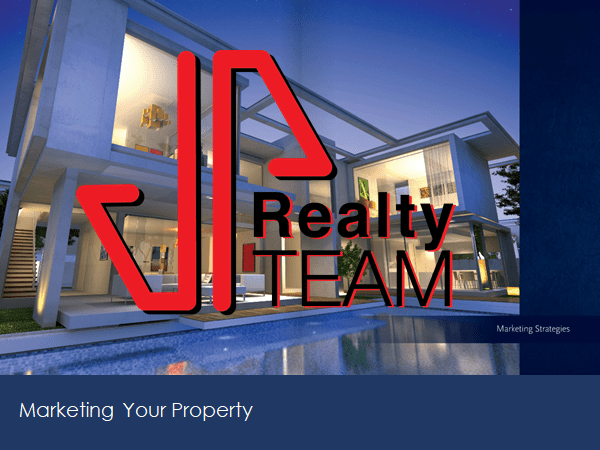 We create glossy property brochures, Just listed/sold flyers and flyers for the marketing box on your for sale sign. We also create open house invitations / Just listed postcards to deliver to your neighbours and surrounding homes. We have a huge email database of about 4,000-6,000 buyers we have attracted who are looking at properties right now, that no one else has access to. As soon as we list your property we will send a mass email to our exclusive buyer list. 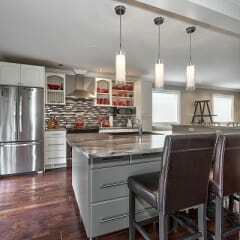 This helps bring multiple buyers for your home. We respond to every buyer the second they register using a sophisticated auto SMS and email messaging system You'll never have to worry about a missed opportunity because we make sure that no potential buyer falls through the cracks. The hard work you put into your business, dedication toward your clients, and overall professionalism has not gone unnoticed. We did it! It may not come across as a surprise to all of you, but it sure feels good to be recognized. 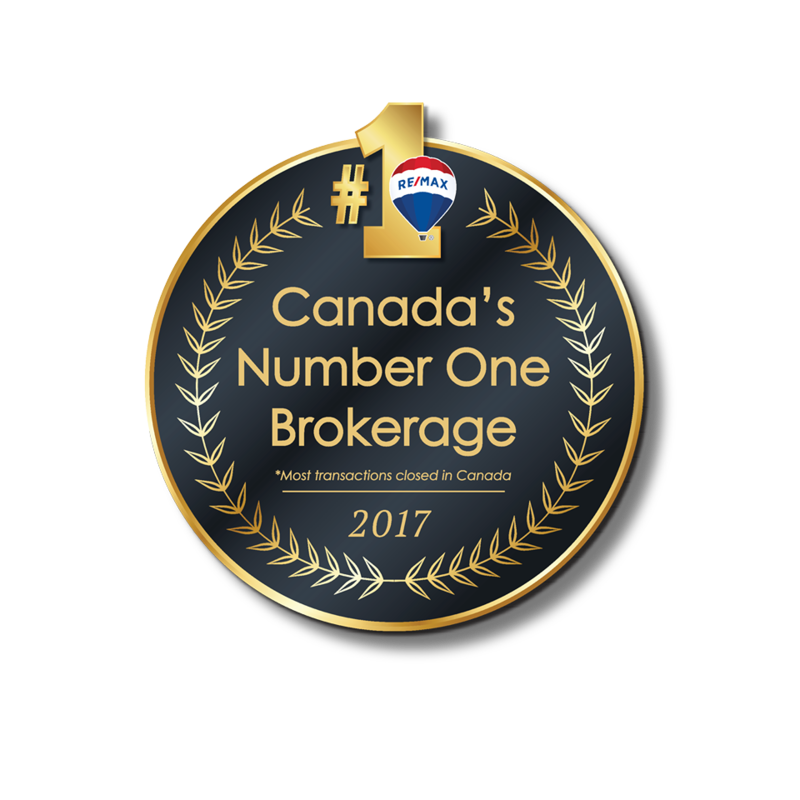 RE/MAX won by the large Canada's Number One Brokerage 2017! We surpassed runners-up Royal LePage and Century 21, and continue to hold the top spot in the real estate realm. 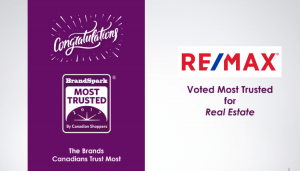 Being named the Most Trusted Brand for Real Estate was a combined effort and would not have been possible without everything that we do day in and out. 73% or respondents said timely responses to serious issues greatly increases their trust in the brand. 56% or consumers surveyed said providing detailed information about their product or service greatly increases trust. 49% or respondents said seeing unfiltered reviews on the brand website increases their trust greatly. 53% said consistent pricing greatly increases their trust. 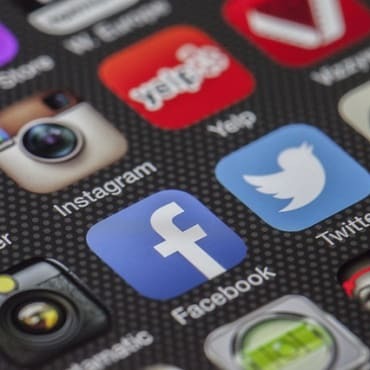 Canadians say their trust in a brand is greatly increased by personal experience, responsiveness, transparency, fair pricing, and the endorsements of other consumers, said Robert Levy, President of BrandSpark International. 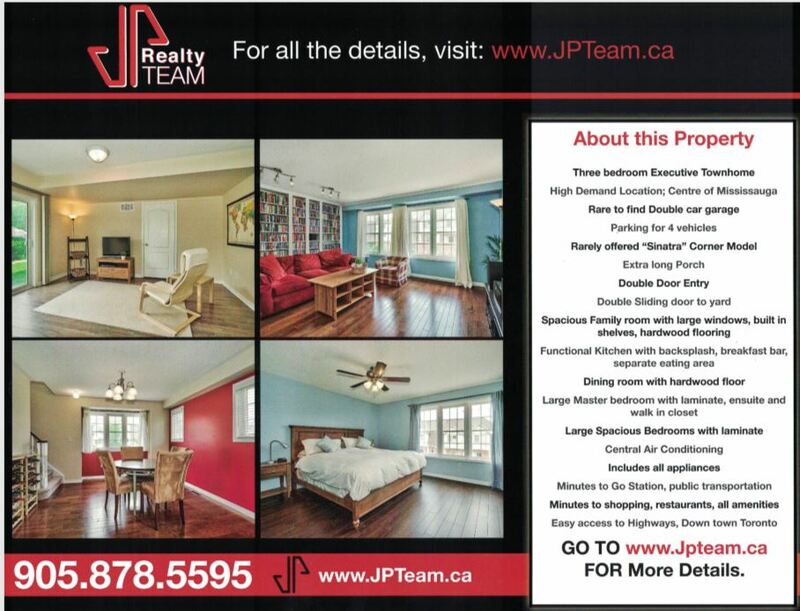 Who is The JP Realty Team? The JP Realty Team has 25+ years combined experience , you get two full time Sales Representatives working on your home full time. 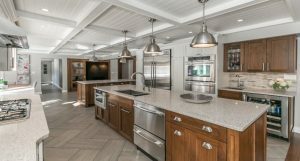 We are expertly trained in negotiations - we pride ourselves in the ability to get our sellers top dollar and our buyers their dream home, without overpaying. We are passionate about what we do and we help to make your experience the best it can be. We provide a communication guarantee to ensure we will communicate with you every step of the way. We are experts. Therefore, we can portray the best features to our targeted buyers who are looking for your specific amenities and will pay top dollar. 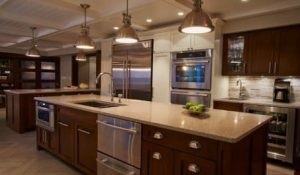 We can also show you what your specific return on investment for home improvements will be such as flooring, counter tops, and bathrooms. The most overlooked , yet most beneficial home improvement for return of investment is cleaning & de-cluttering! The average cost is $209 and the ROI is $586%! 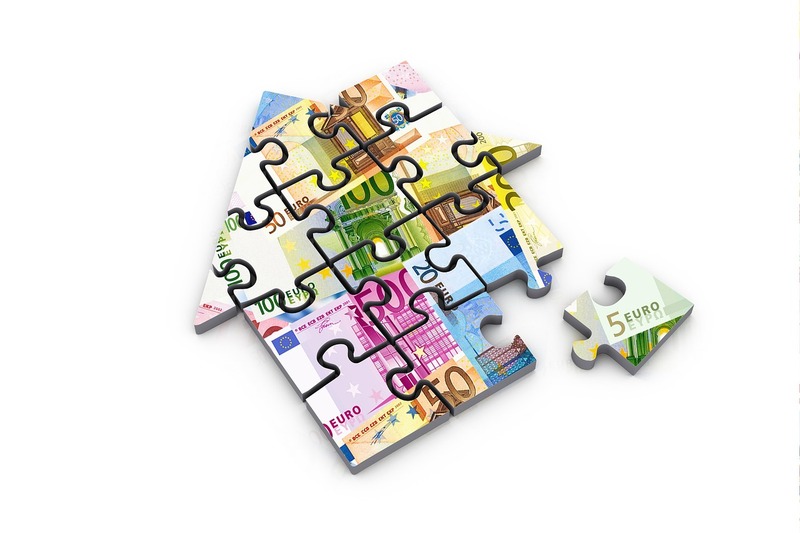 We partner with you and invest our own money into your house to show how confident we are that we can sell your house for the most money and without hassle. We spend money together with you in order to create the best possible impression and bring you top dollar, including - excellent staging, professional photography (can include night shots and drone photography). The best marketing in the world won't matter unless you have a team who handles ALL ASPECTS OF REAL ESTATE SUPPORT.